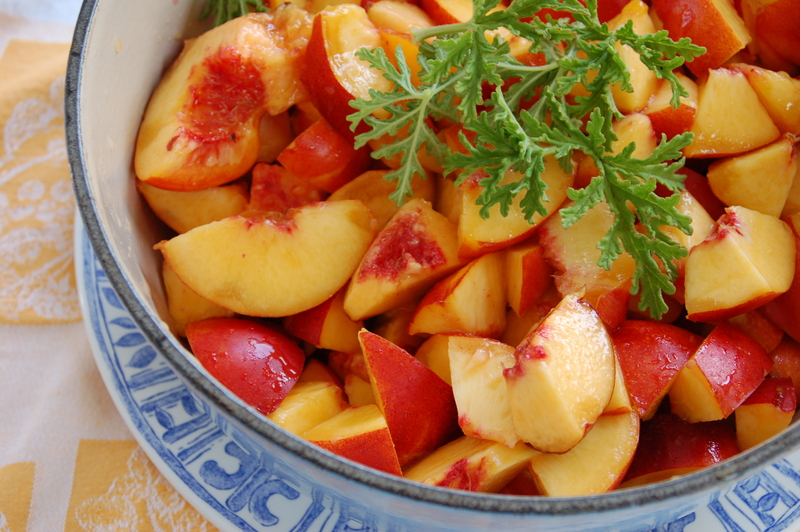 The amazing Nectarine and Sweet Geranium Jam recipe that I learned at the Ballymaloe Cookery School in Ireland. June 2017. Hooked on Homer. The halibut capital of the world! Miller’s Landing RV park in Seward, Alaska. A beautiful waterfront RV located off the beaten path in this iconic seaside town. June 2017. Alaskan halibut and king and coho salmon caught in the waters near Homer, Alaska, processed and flash frozen within a day. Getting ready for the flight home to Seattle! 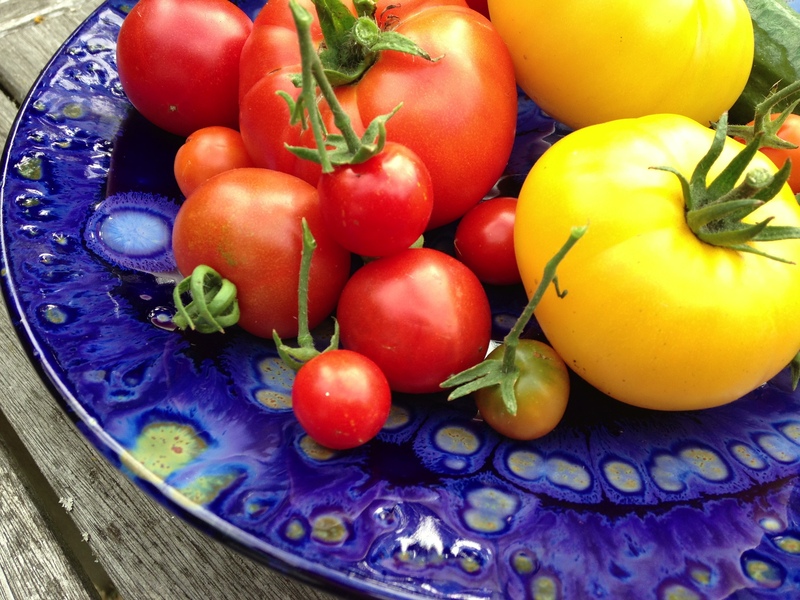 My homegrown tomatoes stashed in a handmade piece of pottery from Beaumont Pottery in Maryland. 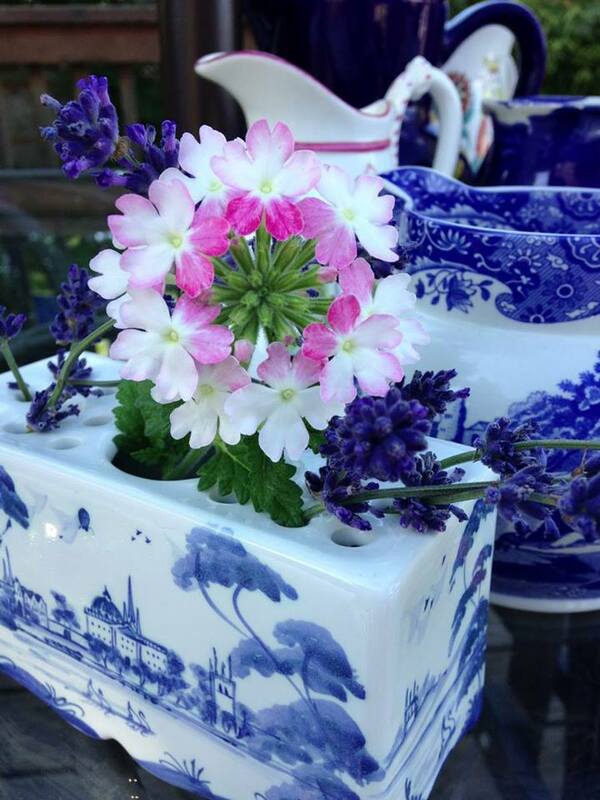 Spode Blue Room is one of my all time favorite patterns. 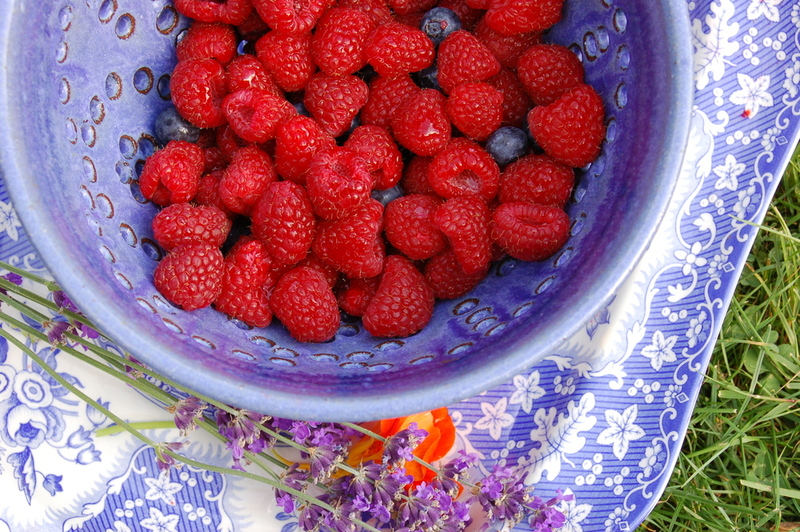 Here, I plopped some fresh raspberries into a handmade berry dish and then set it on a Spode platter. 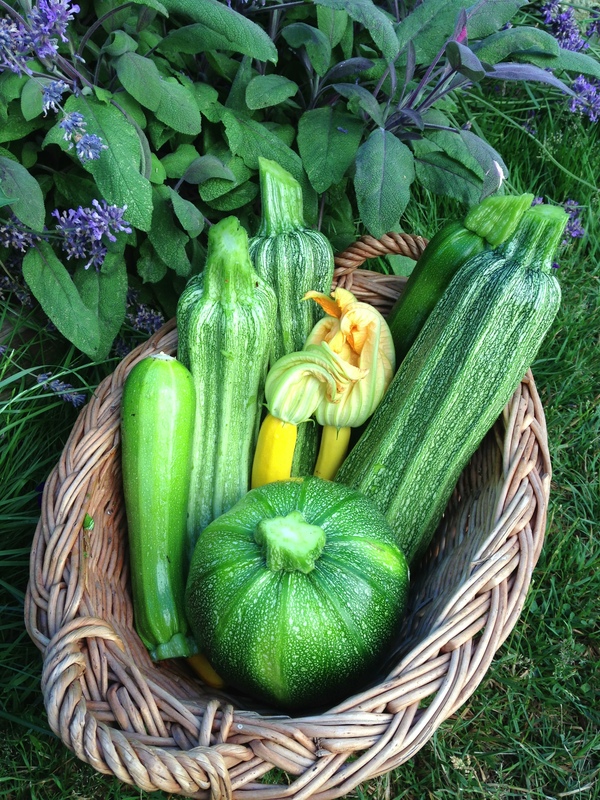 Pure summer! 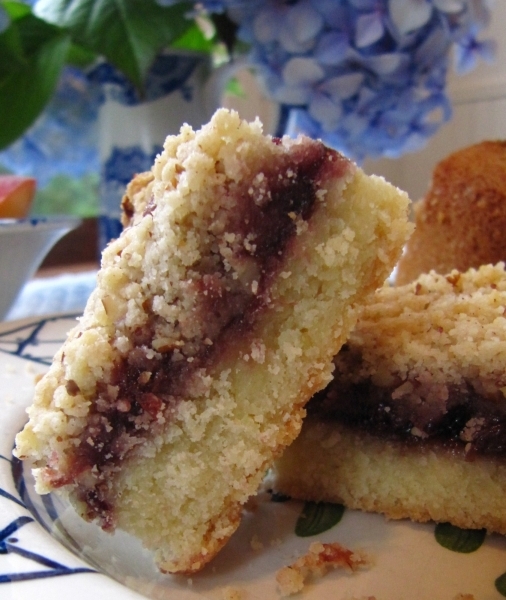 Missy’s Jumbleberry Jam Bars…a sweet creation concocted while cleaning the fridge! 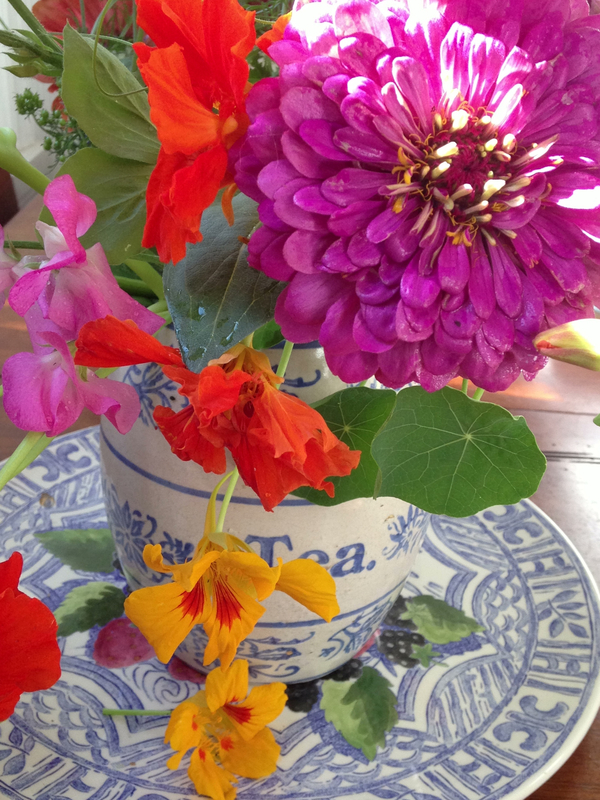 Nasturtiums, zinnias, and sweet peas in a vintage tea container set on a French Gien platter. Inspired by a visit to Giverny, Monet’s Garden.